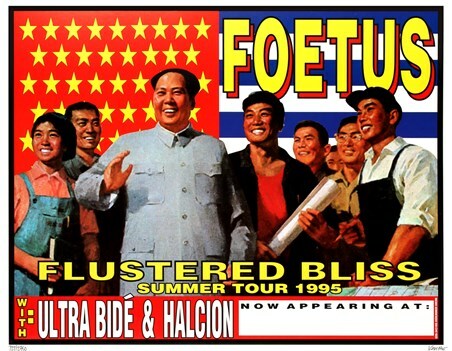 Rare Art Print: If you are looking for an unusual art print to hang on your wall from the eccentric bands of the 1990's then have we got a treat for you here. 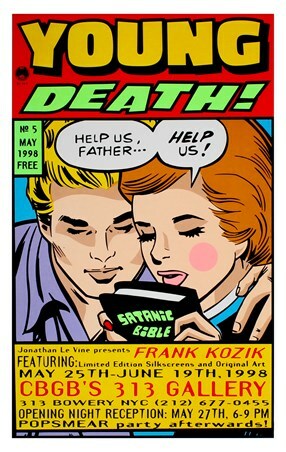 This limited edition art print is signed by the artist Frank Kozik himself and is also numbered too. 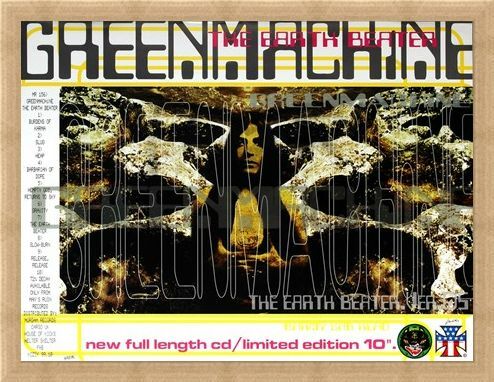 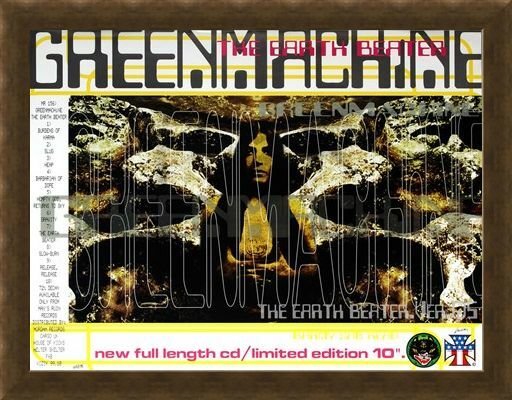 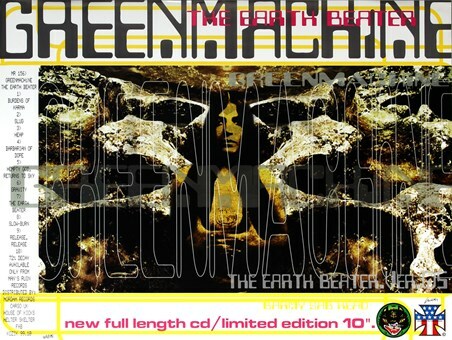 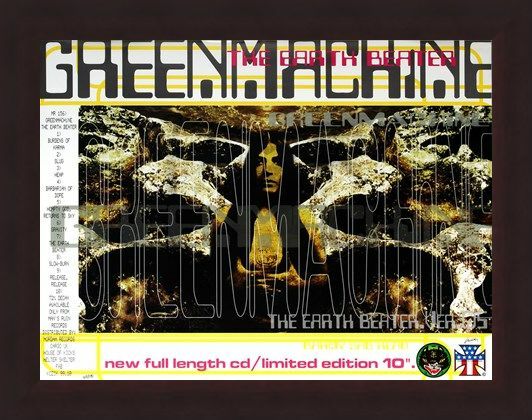 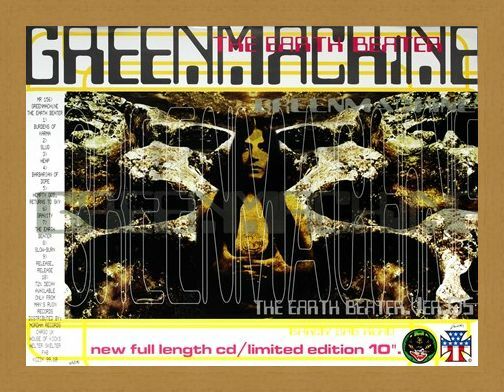 It advertises the release of Japanese band "Green Machine"'s new CD "Earth Beater". 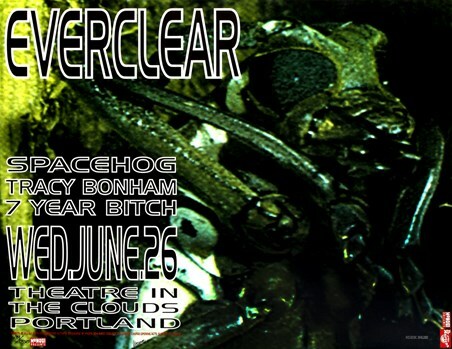 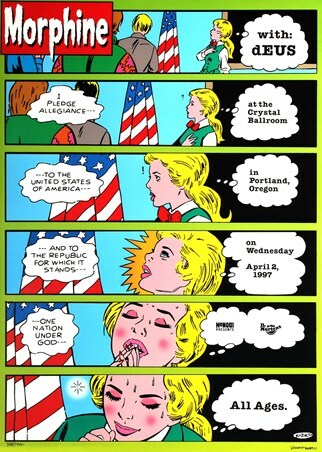 The release happened in 1999 and Kozik was instructed to produce an eye catching advertising poster for the launch. So if you are looking for a rare addition to your art music collection, then why not get your hands on this fantastic rare art print while you can. 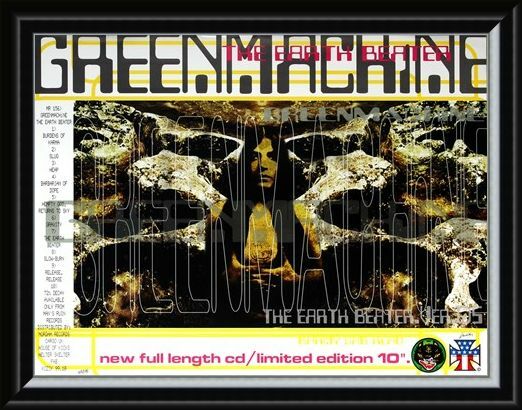 High quality, framed Green Machine, Frank Kozik limited edition print with a bespoke frame by our custom framing service.